The V&A Museum of Design, Dundee, will open in the second half of 2018 and be the first museum dedicated to design in Scotland. Opening in the second half of 2018, the V&A Museum of Design Dundee will be an international centre for design – a place of inspiration, discovery and learning. It will be the only V&A museum anywhere in the world outside of London, and will present the untold story of Scotland’s outstanding design achievements. Creating the museum lies at the heart of Dundee’s ambitious waterfront regeneration, which hopes to revitalise the city region and turn it into a tourist destination. 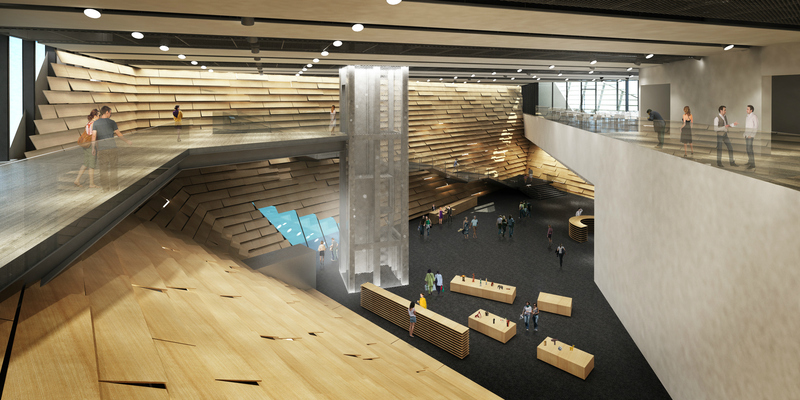 The first ever dedicated design museum in Scotland, the V&A Dundee has been designed by Kengo Kuma – the internationally celebrated architect who is also behind the design of the Tokyo 2020 Olympic stadium. 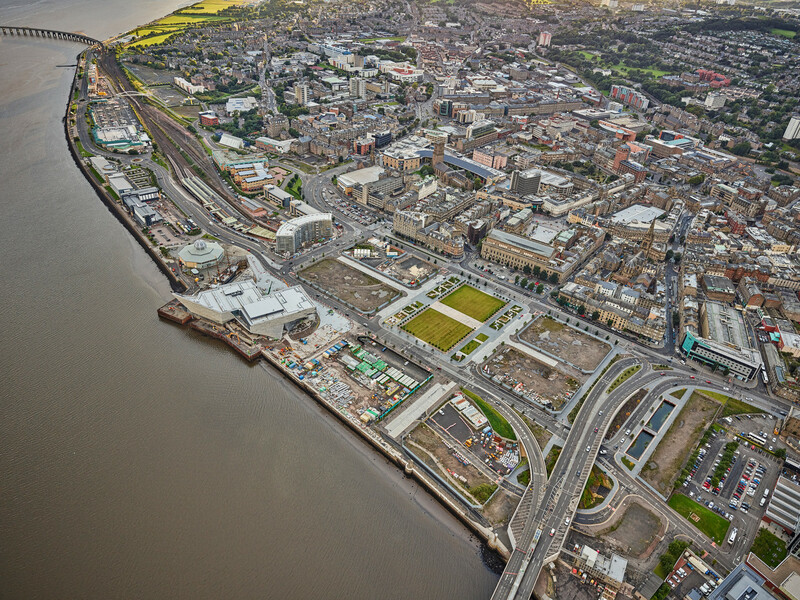 Situated on the banks of the River Tay, Dundee is Scotland’s fourth largest city; Kuma hopes that the museum will become the city’s new “living room”, inviting tourists and locals alike to enjoy the exhibits, socialise, and reconnect with the historic city. Kuma took inspiration for the V&A Dundee from Scotland’s distinctive, magnificent surroundings, including the dramatic cliffs found on the country’s east coast. The building extends out onto the waters of the River Tay on reclaimed land, and despite its striking outer shell, the museum is designed to nestle into the city-scape. At the heart of Kuma’s design for the V&A Dundee is the need to create a building that will find a balance between the river and the city, in a simple but effective way. Established in close partnership with the Victoria and Albert Museum in London, the V&A Dundee will draw on the collections, curatorial expertise and exhibitions of its older sister. However, the new Scottish design museum will run independently to the V&A London; it will have its own Director, and as well as bringing V&A London exhibitions to Scotland, it will also begin to develop its own exhibitions. 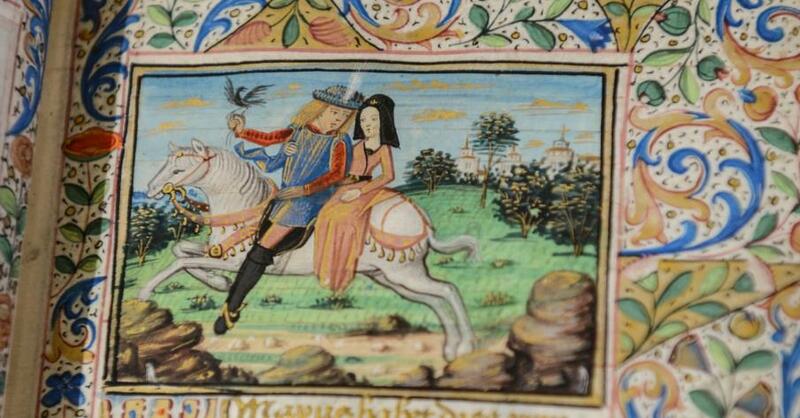 A page from a 15th century Book of Hours that will be displayed in the Scottish Design Galleries. One of the permanent exhibitions will be the Scottish Design Galleries, which will play a major role within the V&A Dundee, exploring what is unique about Scotland’s design heritage. Based on the upper floor of the museum, the space will be split into three sections that look in detail at a different area of design: design as a collaborative process; how design influences our everyday lives; and how design can be used to tell stories. 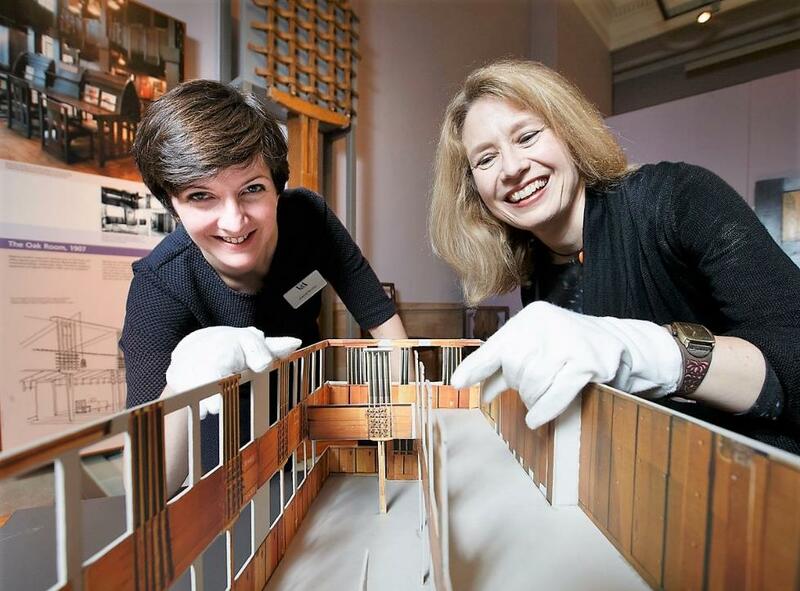 Scale model of the Oak Room, shown with Joanna Norman, V&A Dundee Curator, and Alison Brown, Glasgow Museums. At the centre of the Scottish Design Galleries will be Charles Rennie Mackintosh’s glorious Oak Room, which was originally designed for Miss Cranston’s Ingram Street tearooms in Glasgow. After being in storage for almost fifty years, the tearooms are being restored and reconstructed, to be put on display alongside the formation of the Design Galleries. With construction work taking place until 2018, we can expect the V&A Dundee to be open in the middle of next year - and and at DesignCurial, we can't wait to visit this extrodinary new design museum.